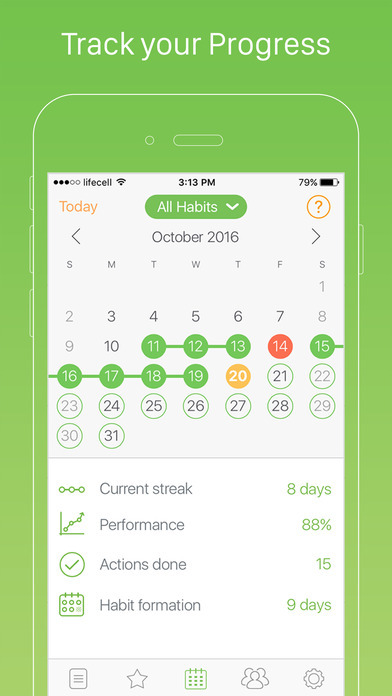 Daily Habits helps you organize, maintain and track good habits while driving out the ones that are negative and even harmful. 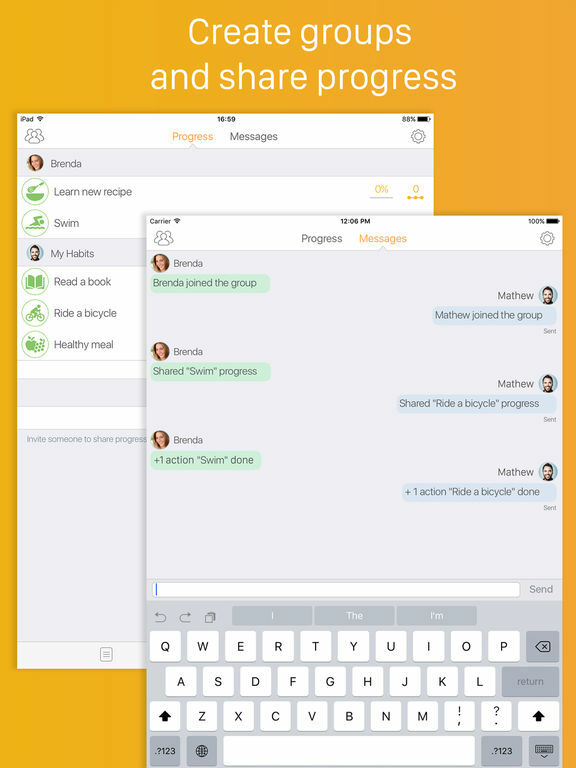 Create groups of users with similar interests, invite your family and friends, share your progress and chat within the app. 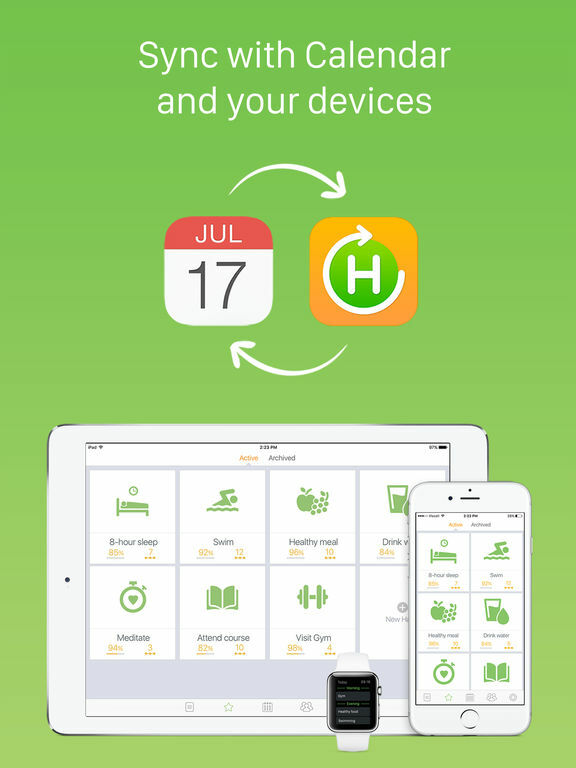 Explore the statistics of your progress and head your app through Today Widget or Apple Watch. 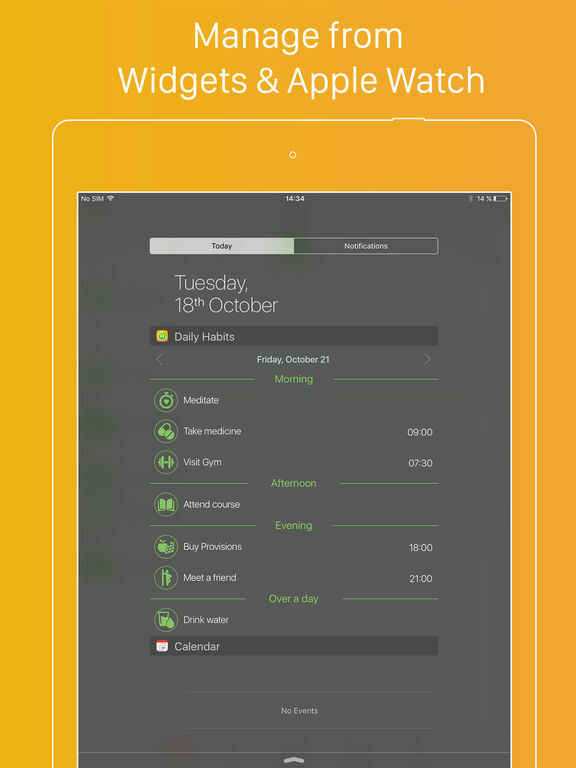 Upcoming actions can be synced with the iOS Calendar app, making it easy to organize your day. 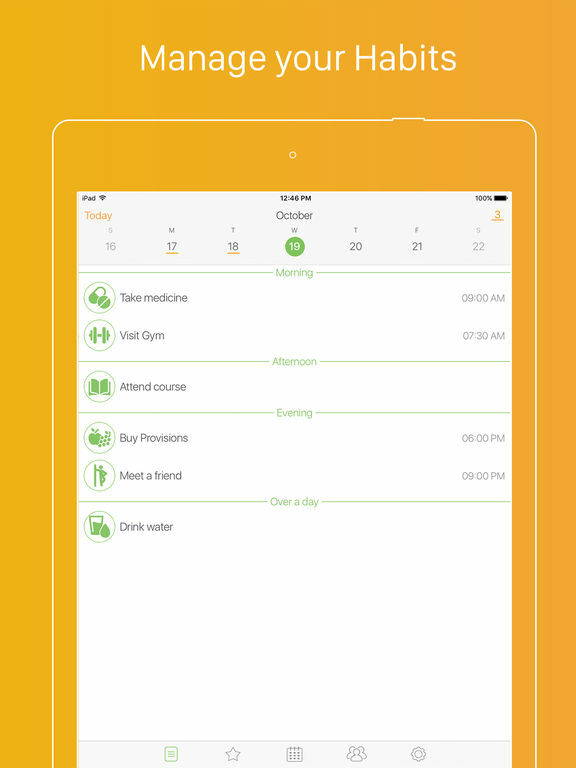 Set a healthy practice day by day. Stop wishing. Start doing. 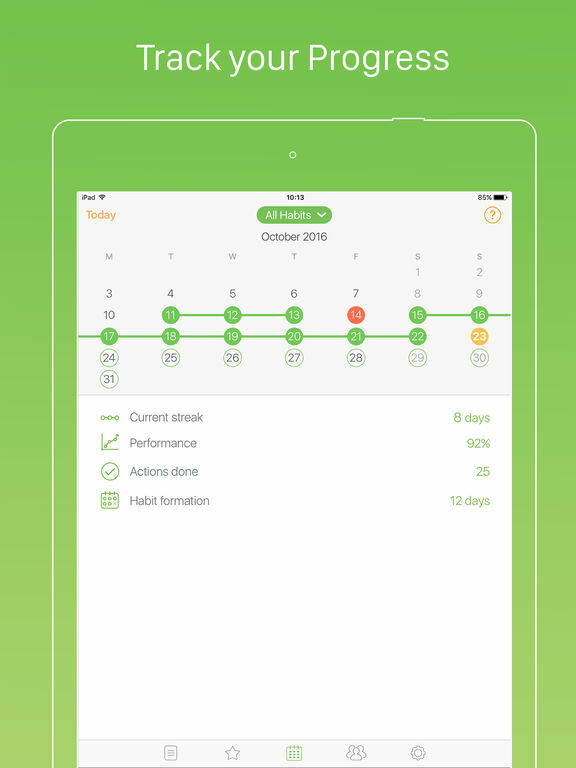 • Some users observed the log out on a random basis. Now it's fixed.